James was the eldest of three children of John William Graham and his wife Mary Teresa (nee McCauley). John William and Mary each had nine siblings and both families ran businesses in the heart of Carlisle. James was to become the fourth generation of the Grahams to be involved in the cab business which had been founded on Blackfriars Street by his gt grandfather and grandfather. The business had moved to Lowther Street by 1871 and was there until 1919. Four months after James’ death in Feb 1919 his father John William sold the business by auction. With no son left to inherit he possibly felt there was no point carrying on? The McCauley family was headed by Denis who was born in Ireland and married local girl Isabella Trimble in 1855. By 1861 they were living on Rickergate running the Bluebell Inn. By 1871 the family were in the Scotch Arms on Rickergate and Denis opened The Star Music Hall also on Rickergate on June 25 1877. 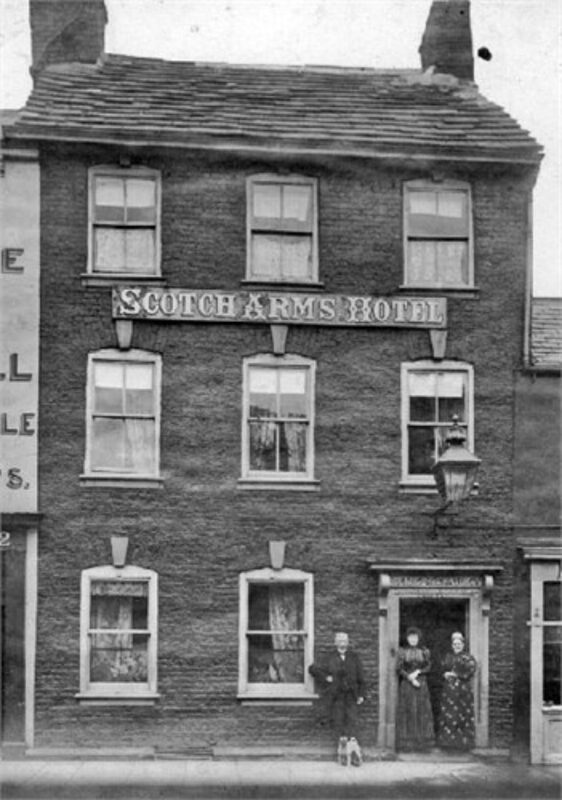 They had the Scotch Arms until at least 1891. Denis also owned cattle. He and one of his sons were in the Wetheral Viaduct train crash in 1873 when they were transporting two trucks of cattle. Interestingly James’ paternal gt-grandmother Eleanor Darling had also run a pub, The Dove Inn, which was also on Rickergate. James first served in the Royal Army Service Corps (R.A.S.C.) His deployment to this branch of the Army makes perfect sense given his experience with the family cab firm. The R.A.S.C. was responsible for land, coastal and lake transport; air despatch; of all non ordnance supplies for the army e.g. food, water, fuel, and clothing. At some point James was transferred to the Gloucester Regiment. In November 1917 the regiment went to Italy and returned to France in September 1918 It was attached to the 75th Brigade in the 25th Division. It seems likely that James died in the Battle of the Selle. Fine. C9.15. the Battalion was relieved by the KING’S OWN SHROPSHIRE LIGHT INFANTRY & withdrew to & concentrated at PLAQUET BRIFAUT, moving back to POMMEREUIL at 20.00 hrs. arriving into cellars at 21.00 hrs. James Graham was one of six fatalities from the battalion that day, and they were probably killed during the relief. He is buried at Pommereuil. The poet Wilfred Owen died ten days later in the same area.